I’ve been putting together another demonstration book, this time for a workshop plan I am writing for the education programme at the Mall Galleries. 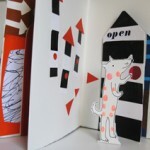 It’s on a theme of doors, and children will each choose and create a character, then make a book with open-able doors to lead to a series of adventures. 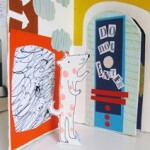 Back at school after the gallery visit, the children can write the narrative to go with the visuals they have created. 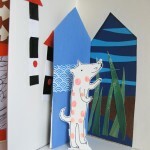 This entry was posted in collage, Workshops on July 10, 2009 by Jane Porter.